For a while, Vietnam was in most people’s consciousness because of the war. But fast-forward to today, this relatively small Southeast Asian country has made a name for itself as a favorite adventure travel destination. 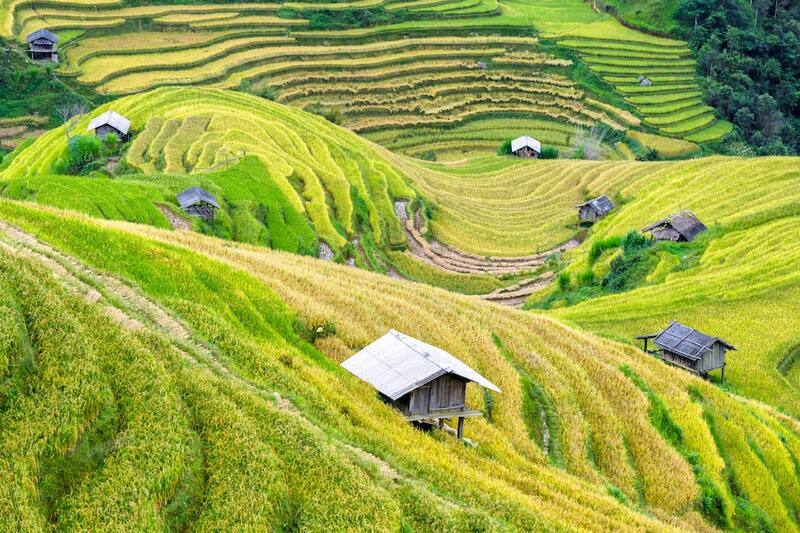 Far from the war-torn image many used to have of Vietnam, this country has emerged as one of the most beautiful places to experience with diversity in culture, landscapes, & food that is unmatched. Most Vietnam group tours begin in one of the country’s three big cities: Hanoi, Danang, or Ho Chi Minh. It also goes without saying that a trip to Vietnam is not complete without trying authentic Vietnamese cuisine such as pho, banh mi, and nem. Going to the turquoise waters and white sand beaches is a must; Vietnam has one of Southeast Asia’s longest tropical coastlines. A few gems include Halong Bay and the beaches of Phu Quoc and Nha Trang. Vietnam is a visual feast. Literally every corner is photogenic, bursting with lively colors and energy. From the vibrant city life of Ho Chi Minh and the stunning islands of Halong Bay to the historical sites of Hanoi, there is so much to photograph in this country. Vietnam is also a great destination for people photography. The locals are warm and friendly, and if you have the time, take a trip to the highlands to meet the people of the hill tribes. Of course, please don’t forget to be respectful and ask permission when taking photos of people. While a stroll on the beach sounds fairly fun, there is something about the laid-back air in Vietnam that pushes one to step outside of their comfort zone—and before they know it, they are jumping off of cliffs and repelling down waterfalls! Canyoning in Dalat is an extreme adventure for the inner adrenaline junkies in us. Expect to slide down natural rock-slides, jump off of cliffs (again), and hike. There are many local operators that offer guided canyoning tours, with varying difficulty levels depending on your experience. The world’s largest cave is in Vietnam, located in Phong Nha-Ke Bang national park. Because this cave is so large, it has its own river, jungle and climate. It is almost like stepping into another world. It is 650 ft high, 500 ft wide, and over 3 miles long. Looking around the cave’s towering ceilings is a sublime encounter that will stop anyone in their tracks. Hire a guide (it is mandatory) and plan an overnight excursion in this gorgeous cave to camp overnight and get some amazing low light photography. The Reunification Express is a unique and excellent way to see the diversity that is Vietnam. The 30-hour journey will take you through fishing villages, rice paddies, dense jungles, and even small, local neighborhoods. 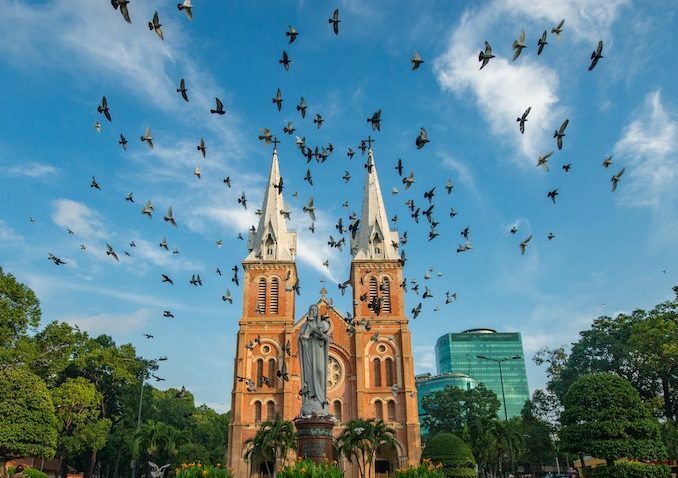 It’s a thrilling ride with a historical significance, linking Hanoi, the countries capital and northern epicenter, with Ho Chi Minh City (formerly Saigon), the capital of the south and former home base for the US Army during the infamous war. The Reunification Express is a great way to get exposed to the lively local culture inside the train too, while enjoying the scenic views of ever-changing landscapes outside. There are five different seating options—from hard seats to VIP cabins, more suitable for western travelers on vacation. Many who’ve been to Vietnam say that the country never truly leaves them and they’re always compelled to come back year after year. It’s easy to see why once you’ve gone once though; Vietnam gives so much to every adventurer that a single journey is not enough. Joining our travel club’s Vietnam group tours will be the one of best travel choices you will ever make!